Interesting. Noted. Thank you Agnes. Maybe the fat cats on Wall Street & diamond hunters in Africa can lasso this one & stake a claim once the figure out how to get there. Just maybe they will get lost on the way back & use the diamonds as ice cubes to cool off in their free fall to never never land. Finally, a proper target for Carmen Sandiego and her V.I.L.E. Henchmen! Somebodies might be Veeery interested to catch this very Real Exotic & "a bit" expensive planet. Plant & protect Danny's trees for life.....Trees are the lungs of the earth. Thank you, Agnes. Isn's science wonderful?! Well perhaps this is the "Lucy" the song is about and it could be temporary due for an explosion in the not too distant future. What a ring that diamond would make. Most natural diamonds are formed at high-pressure high-temperature conditions existing at depths of 140 to 190 kilometers (87 to 120 mi) in the Earth mantle. Carbon-containing minerals provide the carbon source, and the growth occurs over periods from 1 billion to 3.3 billion years (25% to 75% of the age of the Earth). Diamonds are brought close to the Earth surface through deep volcanic eruptions by a magma, which cools into igneous rocks known as kimberlites and lamproites. Diamonds can also be produced synthetically in a high-pressure high-temperature process which approximately simulates the conditions in the Earth mantle. An alternative, and completely different growth technique is chemical vapor deposition (CVD). Several non-diamond materials, which include cubic zirconia and silicon carbide and are often called diamond simulants, resemble diamond in appearance and many properties. Special gemological techniques have been developed to distinguish natural and synthetic diamonds and diamond simulants. 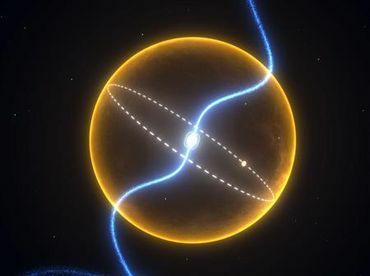 A similar discovery was made in 2004 of a diamond star by Travis Metcalfe- Astronomers decided to call the star "Lucy" after the Beatle song Lucy in the sky with diamonds. This can be found on the website google 10 facts about diamonds you should know. LEAVE IT THERE TO SHINE YOU GREEDY HUMANS|!! !